During the 18th century Mr. Zinzendorf has already been an great advocate for free, individual and sympathetic education. The schools named after him in Königsfeld still respect these timeless values. 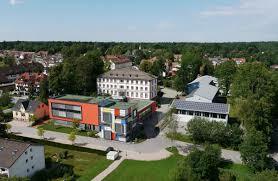 The Zinzendorfschulen in Königsfeld provide not just one but many possibilities to graduate at school. To get the German Abitur the students can decide whether to visit the general educational, the social scientific or the economical Gymnasium. Also they can visit a technical college, a middle school or a professional school, depending on their interests and skills. Thus the possibilities to graduate reach from the secondary school leaving certificate up to the Abitur. All the students enjoy a rural atmosphere, high safety and careful staff within a school that has over 200 years of great history and experience in education.